Warm, sunny days in Grays Harbor are jokingly considered to be a rarity for many who have lived in the area for a while. For most months, residents of the Harbor grow accustomed to the gray skies and sideways rain, content that the weather is our fate for the entire year. Then, the skies open and a strange sight reenters the region – the return of the yellow and blue sky. While most sunny days here in the county are absolutely perfect, we occasionally get a day that is just a little too hot, forcing us to retreat from the sun’s rays. While many will flock indoors to cool off, we have a different idea. Instead of going inside, stay out and relax in a handful of scenic and stunning destinations perfect to keep cool on a hot summer day. From the rainforest to the coast, from paddle adventures to swimming holes, we have you covered the next time the forecast calls for a scorcher. One of the best places to cool off on a summer’s day is on the water, and a great way to do that is by taking a kayak tour with Buck Giles. While he has a few tour options available through his company, Buck’s Bikes, one of the coolest adventures you can take is to head out to the Ghost Forest up the Copalis River. Here along the water, witness the history of the region first hand while keeping cool. Once you are done paddling and get back to Seabrook, enjoy the new mountain bike trails, the hiking paths and the stunning views of this awesome coastal community. Known for great swimming and dipping in the cool waters flowing down from the Olympics, Wynoochee Falls is a classic swimming hole for all ages. While far from the comforts of home, this remote waterfall is popular on the hottest of days, as it is one of the most scenic and cooling swimming destinations in all of Grays Harbor. If you do head here, make sure to stay safe and make good decisions, as the area is far from any help, if it is needed. Located just outside of Aberdeen, Friends Landing is a great spot to cool off in the shade, have a picnic and even paddle the waters of the small, pretty park. Friends Landing offers a $2 a day boat launch, with another boat launch for non-motorized watercraft like kayaks and canoes. Those who do decide to kayak, SUP, or canoe out of Friends Landing need to remember that the lake is influenced by the tide, leading to a lot of pull along the western shore. As always, wear a lifejacket. 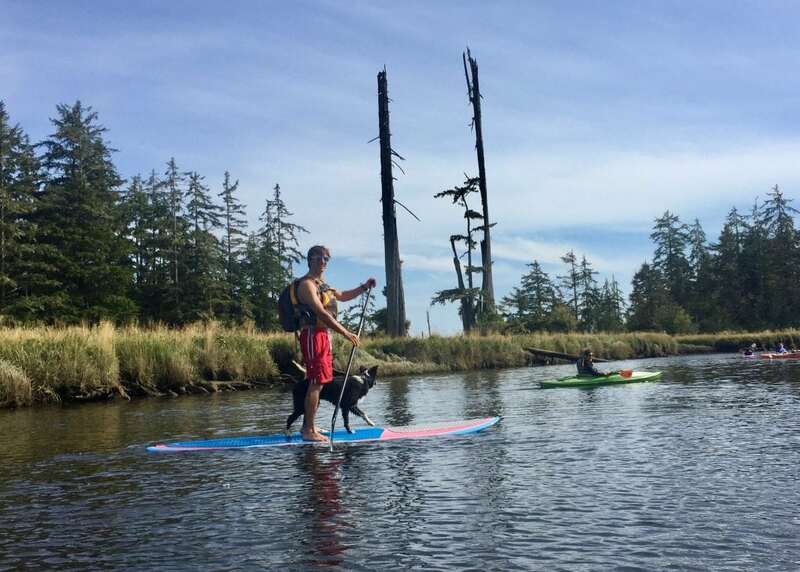 Another fantastic way to be cool on a warm summer’s day is to head up to Lake Quinault and explore the glacial-carved lake by kayak, paddle-board, row boat or canoe. Available for an hour, two hours, a half day, or a full day, these watercraft can be rented right next to the scenic Lake Quinault Lodge in Grays Harbor County. This is an awesome experience and nothing is quite as cooling as enjoying the waters flowing down from the Olympics next to the rainforest. Cooler and almost always damp, the Quinault Rainforest is a great place to head to when the thermometer starts to creep up. 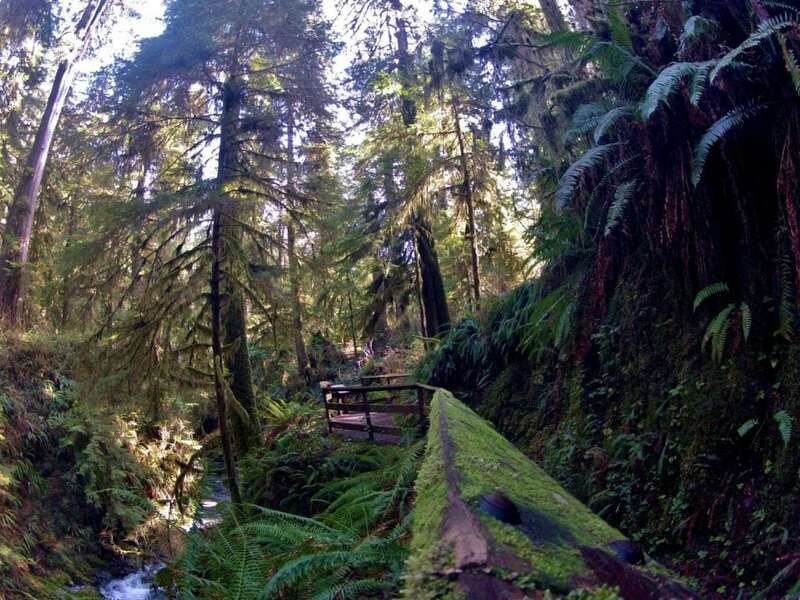 Offering numerous trails, including 13 miles of scenic hikes though the cooling rainforest right near the Lake Quinault Lodge, you can’t go wrong escaping the heat here. Need a destination? Check out the top 10 highlights of driving the Lake Quinault Loop. Out along the coast at Ocean Shores, a walk along Damon Point will give you a cool ocean breeze/strong ocean wind and a chance to see the sights all around the Harbor. 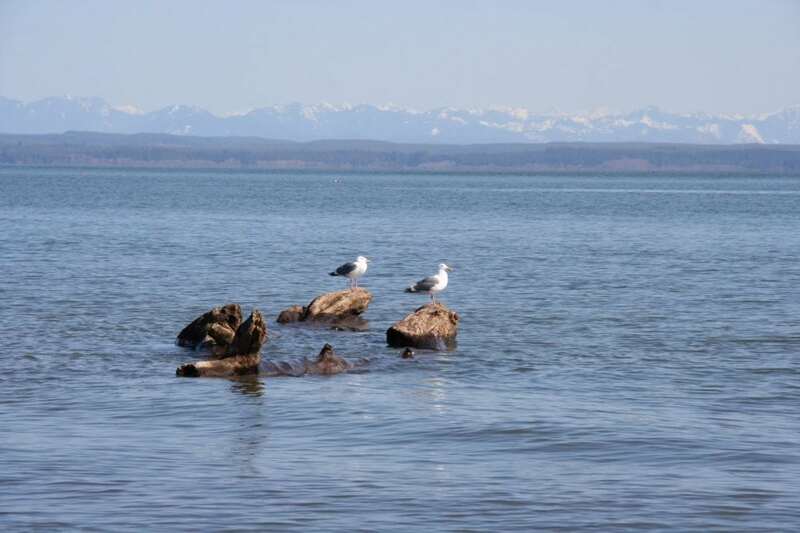 As you walk the four-mile round-trip trek around this sandy spit, you’ll get a chance to wade in the water, enjoy the wind and take in views of the Olympic Mountains, Mount Rainier and the waters of Grays Harbor. Along this hike, it isn’t out of the ordinary to see seals, eagles, and even whales! Finally, we end in the eastern side of the county, where family fun is easily found on hot days at Lake Sylvia State Park. Whether you want to swim, paddle or hike, everyone will be able to find a way to beat the heat at Lake Sylvia. 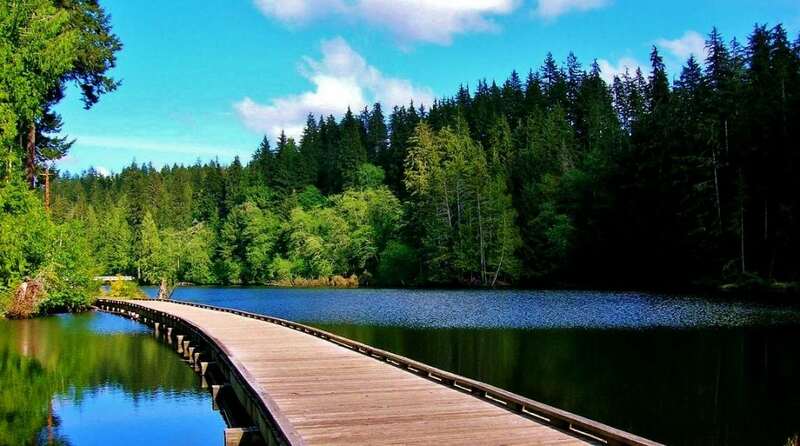 Hikers will enjoy the five miles of trails that weave through the forest and along the lake, while swimmers can dip in the cooling waters of the lake. Paddlers who come to the park will have the lake to themselves, as motorized boats are not allowed, making for a perfectly relaxing day on the water. With restrooms and picnic areas, you can spend the whole day here and not feel overwhelmed by the heat.